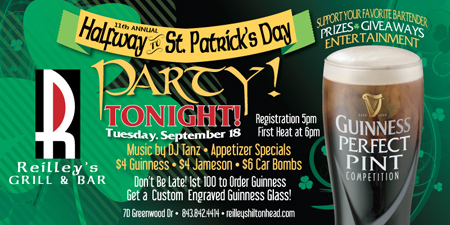 HiltonHeadIsland.com » Events » Reilley’s Grill and Bar is hosting their annual Guinness Perfect Pint Competition! Reilley’s Grill and Bar is hosting their annual Guinness Perfect Pint Competition! Tags: Reilley's Grill and Bar is hosting their annual Guinness Perfect Pint Competition! September 18: Halfway to St. Patrick’s Day is Almost Here! Reilley’s Grill and Bar is hosting their annual Guinness Perfect Pint Competition. Mark you calendars, tell your neighbors, invite a friend- you don’t want to miss it. Music, food and drink specials and the all important competition. Think you have what it takes to compete? Email us at [email protected]. 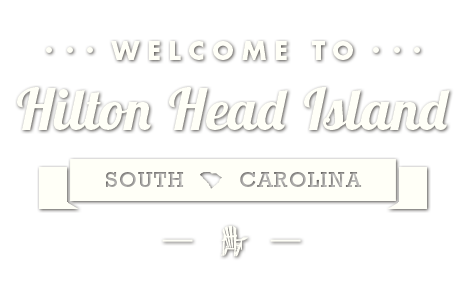 Registration 5 p.m., first heat starts at 6 p.m. 7D Greenwood Dr. (843) 842-4414 or reilleyshiltonhead.com.